Celebrating 20 Years of Golf! As of this June, we are celebrating 20 years in business as Campbell’s Scottish Highlands Golf Course. All of us here at the CSHGC recognize that this would not be possible had it not been for the loyal support of our customers. To show our appreciation for your part in making this course what it is today, we will be having a celebration on Saturday, June 21. To kick things off, we will be rolling back our prices to what they were 20 years ago when we opened back in June of 1994. Free Carts for Member, Season Pass Holders, and Preferred Players Club members. MacMulkin Chevrolet-Cadillac has been kind enough to sponsor a hole-in-one car for this event. 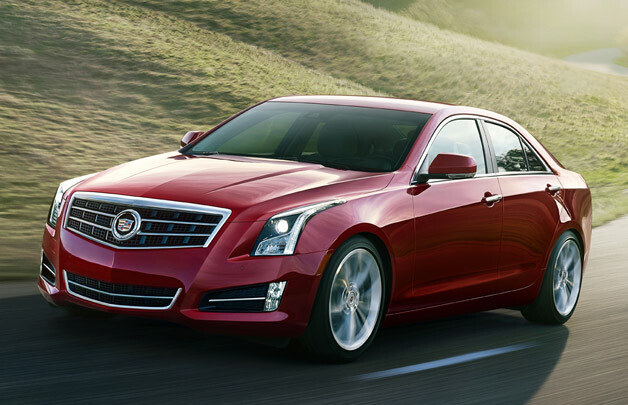 The prize car for making a hole-in-one on the third hole will be a beautiful new Cadillac ATS. This contest is only available to golfers booking 18 HOLE TEE TIMES between 6:00am and 4:00 pm. So be sure to get you and your group signed up! There is no entry fee for this contest aside from booking one of the first 240 18-hole rounds of the day starting at 6:00 am. 9 hole golfers playing the front side are not eligible for the hole-in-one contest unless involved with an outing or special event.